Caution:This engine has aluminum cylinder heads. Do not remove thespark plugs from a hot engine, allow it to cool first. Removing thespark plugs from a hot engine may cause spark plug thread damage orcylinder head damage. Remove the ignition coil(s). Refer toIgnition Coil Replacement. 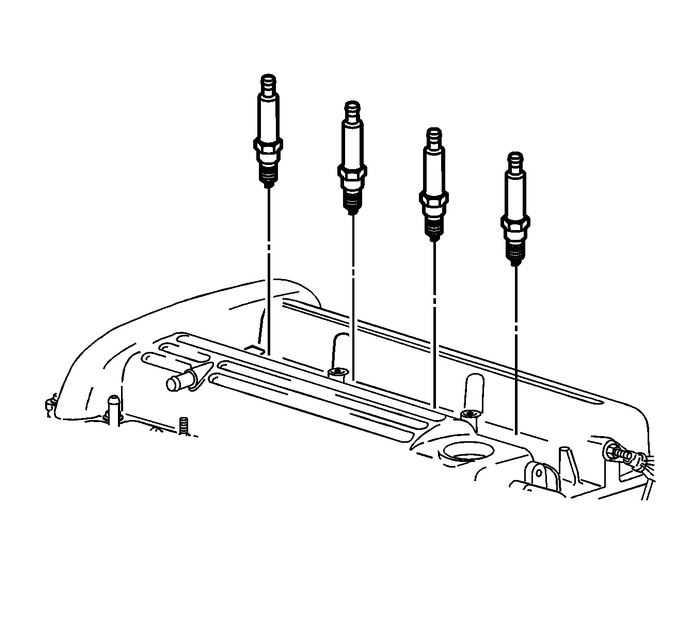 Note:Make sure that any water and/or debris is blown out of thespark plug holes prior to removing the spark plugs. Caution:Do not coat spark plug threads with anti-seize compound. Ifanti-seize compound is used and spark plugs are over-torqued,damage to the cylinder head threads may result. Tighten the plugs to 20-Y(15-lb-ft).Install the ignition coil(s). Refer toIgnition Coil Replacement.